Humidity gets a bad rap thanks to what we know about summertime humidity: the thick, stifling, and damp coating in the air. Hence the famed phrase “It’s not the heat, it’s the humidity…” we all mutter as yet another potentially good hair day bites the dust. Because of this negative connotation, people often neglect humidity’s importance during the winter months. The frigid cold air of winter dries up humidity (moisture) in the air. This dehydration withers signs of plant life and causes many uncomfortable side effects within our homes. Call in the humidifier. Humidifiers re-introduce moisture into the air to reduce the effects of dry air and create a more comfortable environment by promoting better air quality and health throughout your home. If there’s a time to invest in a humidifier, it’s now. 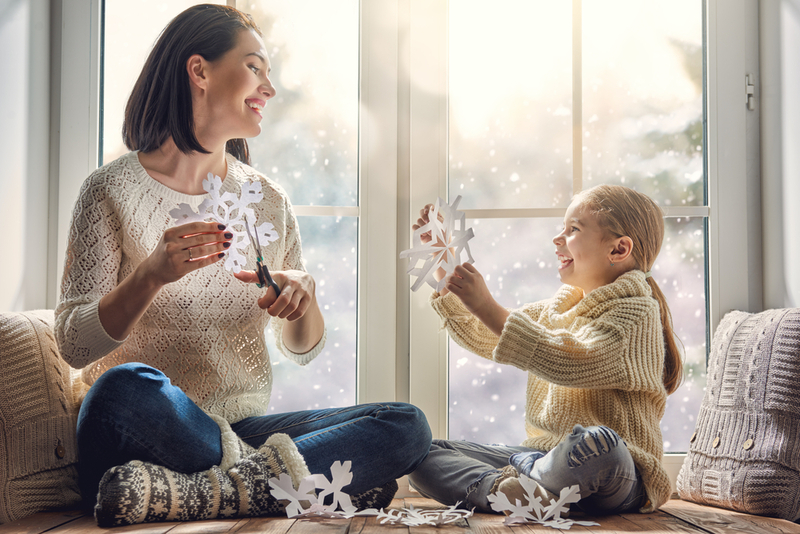 We’ve come prepared with some ways a humidifier will become one of your best assets this winter and a welcomed gift for your family. Would you like more tips on how to increase your air efficiency? Read our blog for savvy advice from the experts at I Want SMART! If you have to ask yourself if you need a humidifier, the likely answer is no. 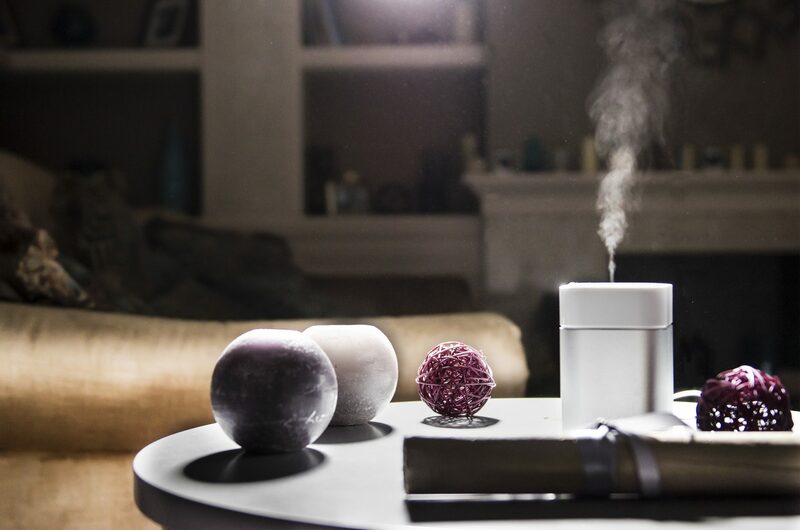 If you truly need a humidifier, you’ll feel it. Most everyone is familiar with the usual telltale signs of winter air: parched and itchy skin, cracked knuckles, dry eyes, chapped lips, irritated nasal passages, snoring, or any combination of the above. All are worsened when the air is moisture-deficient. In addition to aloe, moisturizing lotions, and lip balm, a humidifier works to abate these symptoms. They don’t call it “cold and flu season” for nothing! Your respiratory system also suffers from the dryness of winter. Every time you breathe in icy air through your nose and throat, moisture is drained from your sinus passages. Those plagued with sinus congestion or seasonal coughs and colds will appreciate the reinvigorating hydration a humidifier can provide to hasten the healing process. Even if you’re not sick, a humidifier can help prevent illness and keep those vexing symptoms at bay. Humidifiers work as hard to combat the cold as any other appliance. They help regulate indoor temperatures by raising humidity levels to add heat without having to physically turn up the heat. It’s the same principle in the summer when high humidity makes the outdoor temperature feel much hotter than it technically is. Humidifiers can thereby help stabilize your thermostat use to keep your costs in check. Do you notice that your older home’s classic wood floors start creaking and cracking more than usual in the winter? Wood organically shrinks and splits in the cold without adequate moisture, making it less pliable. The effects aren’t limited to older homes nor wood floors. The caulk used in new homes along the baseboard trim and the countertops will shrink and crack due to lack of humidity. Humidifiers can offer a balanced indoor atmosphere by helping deliver tolerable air that is neither scorching nor overly wet and dank. Do you need help in creating a more comfortable indoor climate this winter? Get in touch with I Want SMART to schedule an HVAC inspection! There’s no way around it: winter is here. While there aren’t ways to stop Mother Nature in her tracks, there are ways to mitigate against her wrath. Winterizing your home is an important part of forming a solid defense against the effects of the bitter cold. Winterizing your home refers to equipping your plumbing and HVAC for colder weather. Below-zero forecasts outside can cause freezing pipes and frigid temperatures inside that take a toll on your family. Not winterizing your home has a lot of potential consequences, including roof damage, increased risk of fire and/or carbon monoxide leaks, power outages, higher heating bills, insurance claims, and indoor flooding. Winterizing your home can be simple, but you have to know where to start. We’ve provided a winterizing itinerary to help you make it through the winter without an HVAC or plumbing problem. It’s easy to neglect, but replacing/cleaning your filters once or twice a month makes a world of difference in your air quality. Dirty filters can restrict the flow of treated and warm air throughout your home. Your system will have to work overtime and utilize more energy to compensate for blockage, which shows up on your monthly energy bills. Frozen pipes are one of the most common wintertime plumbing issues. Frozen pipes not only restrict water flow but can lead to burst pipes that add up to costly repairs. When water molecules freeze, they expand as they crystallize and take up more space than when they’re in liquid form. The freezing ice then gradually pushes water towards the closed faucet, which creates tremendous pressure between the ice and faucet. The pipe soon ruptures under pressure in an area with very little or even no ice. Have your pipes wrapped in insulation to prevent significant pipe damage and future repairs. In case of an emergency, make sure everyone in your home knows where the shut-off is. To save time and have peace of mind that it’s done correctly, find a certified professional to make sure your pipes and other areas of your home are well-insulated. Storm doors and windows are extremely energy efficient by sealing in warm air and preventing significant drafts. No, not football drafts or beer on draft — we’re talking about the space between your door and your floor from which warm air escapes and cold air slips through. According to the Department of Energy, the average American spends $2,000/year on energy; of this, $200-$400 could be going to waste from drafts, air leaks and openings, and outdated HVAC systems. Although they may be a pain to install, storm windows and doors are well worth it in the end. This is a dreaded seasonal chore that often ends in hiring a neighborhood kid to do the dirty work. But, whether you do it yourself or enlist the help of friends and family, it is a necessary job that needs to get done. Cleaning your gutters helps keep the water path clear and functioning. Debris otherwise creates barriers that restrict flow and allow ice to form. Either take a day to clean those gutters or start making phone calls before it gets too cold to do anything! It may be time to talk about replacing your outdated thermostat. Programmable thermostats are inexpensive in comparison to your utility bill costs. Shelling out a few hundred dollars for an electronic thermostat that is made to save you money is a wise investment. Once you have your new thermostat, make sure you’re doing your best to optimize it. This means turning your heat down when you leave the house for an extended period of time, i.e. vacation (hopefully to somewhere warmer). This will cut down even further on your energy costs. Needless to say, a functioning thermostat is your best friend this winter. The only way to know for sure you’re heating your home efficiently is to have a professional inspect it. It’s advice that’s easy to justify in the moment: “Why would I spend money for someone to tell me that either everything is fine or things that I already know?” We get it. But, the more you do ahead of time ensures less maintenance in the long run. Plus, who wants to need repairs done when it’s freezing out? Furnace issues go undetected longer and more frequently than you’d think. Save yourself some heartache this winter and get that overdue furnace inspection. Have more questions about your plumbing and HVAC? Our technicians are waiting.